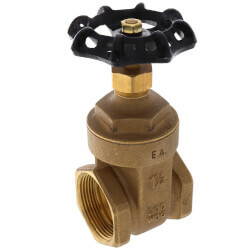 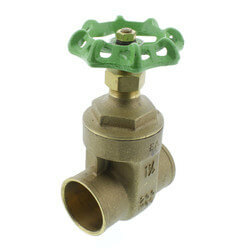 A standard gate valve has a bonnet found on top of the valve body. 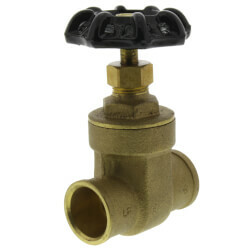 This bonnet is responsible for holding the stopping wedge and the mechanism responsible for raising and lowering the wedge. 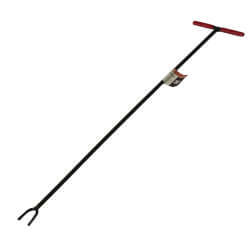 A handle is located on top of the bonnet. 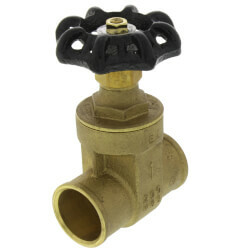 The wedge inside the valve moves up or down as the handle is turned. 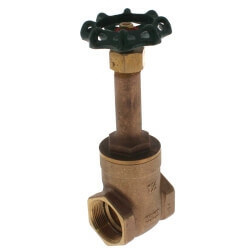 When the wedge is fully lowered, liquid is completely blocked from flowing through the pipe. 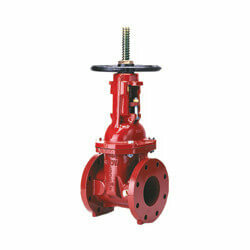 Gate valves are widely used in industrial piping due to their ability to fully shut off or fully turn on flow. 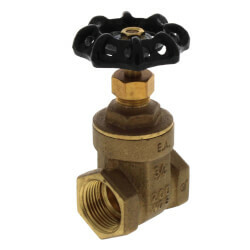 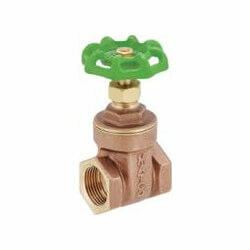 They are commonly constructed from cast iron or brass, and are characterized by size and connection type. 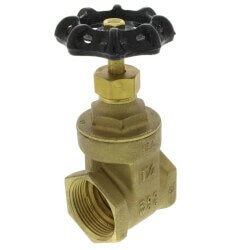 They generally have either sweat (CXC) or threaded (IPS) connections. 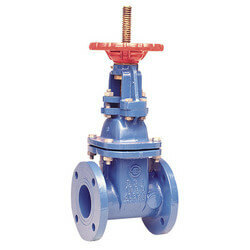 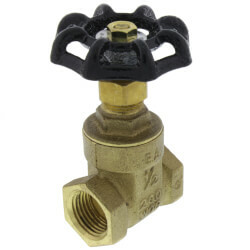 However, some commercial gate valves require greater reliability and may have flanged connections. 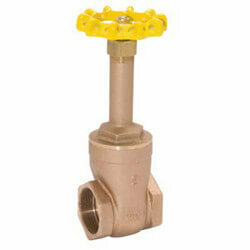 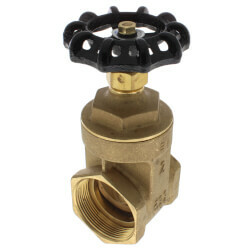 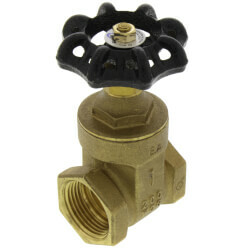 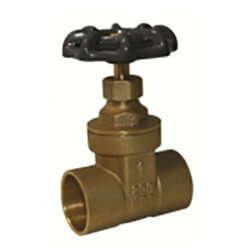 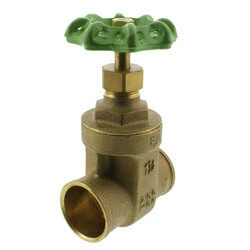 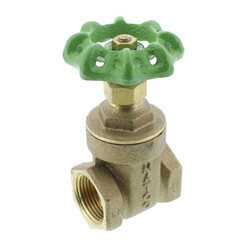 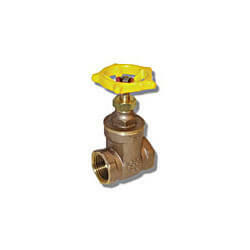 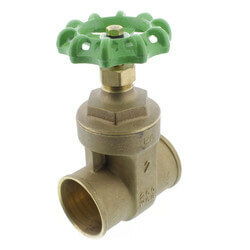 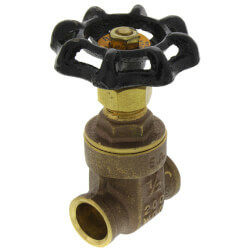 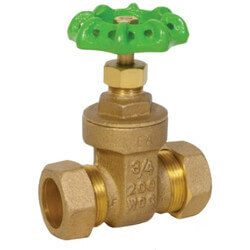 Gate valves on our website are available in sizes ranging from 1/2" to 4".